Renting or purchasing a property is one of the basic concerns when you move abroad, and it can pose a serious challenge. The housing market in Brno (and in the whole of the CR) is in the state of high demand and low offer which is pushing the prices up. The price range for a basic one-bedroom apartment is between 10.000-20.000 CZK. Be prepared for that when searching for your flat. Rules and customs can differ widely from country to country – the system here in the Czech Republic may involve a few features which you are not familiar with. However in general, the real estate scene is not overly complicated, and many regulations and restrictions have been eased in recent years. Most foreigners – at least when they first arrive here – opt for renting a flat or a house. Rental practices here have a number of features that you should be aware of. It’s best to deal with a reputable agency. Of course, individuals certainly can and do offer flats and houses to rent, but be very careful: you may run into problems, particularly when it comes to obtaining proof of ownership (needed for official purposes such as a visa). Good agencies will make sure that the person leasing the flat is legally entitled to do so, and that the lease contract contains all the necessary, and standard, provisions. The usual fee (commission) charged by an agency is equivalent to one month’s rent (some agencies include monthly utilities into their commission, some don’t: check with your agency to avoid surprises). Scroll down to have a look at some of the agencies operating in Brno. You can, of course, search for your house, apartment, or room independently. It is expected that you either get familiar with the international communities and groups in Brno or search online in Czech. The Facebook pages Multilingual Flats in Brno, Flat to Rent in Brno, or Flats Brno gather offerings and demands for all sorts of accommodations. The big online accommodation database servers are www.bezrealitky.cz and www.sreality.cz. Some of the ads are from an agency (sreality.cz), some from proprietors and landlords directly (bezrealitky.cz). If you are renting from the owner without a real estate agent being present, you won’t pay commission to the agency, but you won’t have anyone checking the legal accuracy of the lease. Before signing, send it to us and we will have a look at it. If your plan is to arrive to Brno, visit a number of flats and then pick one of them, book a temporary accommodation for at least two weeks and be prepared to prolong it. Start talking with agents/landlords prior to your arrival so you have a list of potential places already prepared when you get to Brno. Most flats become available to move in at the start of a month so plan your arrival accordingly. If you are planning to arrive in September, be prepared for a low offer of flats: the semester is starting and many students are moving to Brno. Our recommendation is to find and reserve a flat well in advance, or to book a short-term accommodation (airbnb) and look for a flat with a move-in date in October or November – you will have many more options to pick from this way. The following companies specialize in catering to foreigners interested in renting a flat/house or purchasing a property. This is a small firm, but the two women involved had many years of experience working with foreigners and expats in a large firm before going independent. In addition to English, they offer services in German, Italian and Spanish. Very personal and caring service reported. An agency taking care of foreigners living in the Czech Republic. New apartments offered almost every day on their Facebook page. First month’s rent for a signed contract is the charge. What is extra, Foreigners.cz stay with you after you move in and help you with setting up utilities, cable TV, internet, energies etc. Comprehensive real estate services for foreigners will save you the hassle of searching and agreeing to new property rent. The agent will help you find the right place and provide all the paperwork in English including the property handover. A classic real estate agency, Bravis has many flats available for rent, covering a broad range of sizes and prices and situated throughout Brno. Another classic real estate agency operating in Brno and its surroundings, part of international RE/MAX network. They assist clients in finding properties for sale or rent, as well as a wide range of further estate-related services. A different approach to home hunting. No ads but you have to fill in your request first and the agents will get back to you with suitable offers. This Canadian-owned company offers a wide range of services in real estate, property management, mortgages, company setups and accounting. In the area of real estate, it is unusual in that it itself manages around 130 flats, half furnished, half unfurnished. Czech Point 101 does not charge a commission on its flat rentals. You should, of course, be in a position to understand exactly what you are signing. Any agency accustomed to dealing with foreigners should be able to provide you with a lease contract in both an English and a Czech version (the latter having legal force should there be any question as to interpretation). Many can also supply versions in other major international languages. Only the owner (or an individual with the power of attorney to represent the owner) can lease a flat or house. However, many flats in the Czech Republic are in fact owned by local authorities, and it is illegal to sublet these flats. Only an extract from the property register ensures that you are renting a flat legally. In order to apply for a long-term residence with the Immigration office, you will need to show them: an original copy of your lease (in Czech, no notarization of signature required) or a declaration by the owner (“Potvrzení o zajištění ubytování”) – signed before a notary public – that states s/he is indeed renting the property to you. The Immigration office will check if your landlord is indeed the rightful owner of the property and if it is in their power to rent the property to you. If the Office finds anything lacking, they will reject your application. That’s why it is important to check and prove the ownership in advance. Rent is usually paid monthly, in advance. Monthly rents may be paid in two ways. In the first case, you pay rent to your landlord and the cost of utilities (electricity, water, gas) to your energy providers. The second option is to pay both (rent and the utilities) to your landlord. When looking at flat offers, always check if the offered price includes utilities or not. There are advantages and disadvantages to both systems. Paying utilities together with your rent is considered more comfortable: it requires less paperwork when moving in or moving out, and it means only one monthly payment to one account. Although you pay in average monthly instalments, you will pay only for the energy that you actually use: the landlord will provide you with a calculation of your real consumption every year, and either refund you or ask you to pay an additional sum if you use more than the average amount. However, the energy providers send the calculation only once a year (usually in February/March). If you decide to leave the flat in, let’s say, September, the landlord can withhold your deposit (or part of it) until the calculation comes in spring so he can potentially cover the extra charge from the deposit. Not many landlords do so but they are in their rights if they so choose. If you pay utilities straight to the energy providers, the paperwork at the start and at the end of your lease is a bit more difficult. However, your estate agent should help you arrange all of it. You will be then in full control of the payments. The landlord usually decides which system they prefer or they are used to with previous tenants. You can always open the discussion if you want to, though. Usually, the lease also includes a provision for a security deposit. The deposit can equal up to three months rents, but more often it is one or two months rents. This is usually the landlord’s decision and not very often negotiable. If your deposit is high, you can try to ask to pay in two instalments (with the first and second rents) – some landlords might be understanding and wait for the deposit. Otherwise, the deposit is paid in full at the beginning of the tenancy and kept by the landlord to be returned at the end of the period of occupancy, unless some damage has been caused to the property. In this case, the landlord can retain part or all of the security deposit to cover the cost of repairing the damage. The security deposit is refundable, however, some landlords may include a provision stating that the deposit won’t be returned if you terminate the contract before a certain period of time has lapsed. Be aware of such clause. The lease, or (more often) a protocol attached to it, may contain a description of the state of the flat when you take the flat over, its contents, the state of the utility metres, etc. The latter in particular is important. You should check that the figures listed for the metres correspond to the reality; otherwise, you might be in for a big surprise when the annual calculation of your consumption of electricity, water and gas is made. The same is true of the description of the flat; you do not want to be held responsible for the damage that was actually caused before you started renting the place or be accused of having made off with something that was not there in the first place. Our recommendation is to take photos when you are taking over the flat and then send them to your landlord’s email. Take pictures of the furniture that comes with the flat, as well as any imperfections (cracks in walls, bigger scratches, etc) This way, you may avoid possible disagreements at the end of your stay. The landlord should not charge anything for the normal “wear and tear”. However, it is advisable to clean the flat properly before you hand the flat over back to the landlord – you avoid an unpleasant take over. The lease agreement can set the landlord’s requirements for the state of the flat when you return it: some landlords require that you repaint or that you will pay for repainting. Check for that before you sign. Most leases are signed for a period of one year. They may have a clause allowing the lease to be terminated early, in which case the notice period can vary from one to three months. Otherwise, Czech law states that in cases where you wish to break the lease early (or where no termination date has been specified, though this is uncommon, especially in leases for foreigners), you must give three months’ notice. The notice period starts on the first day of the following month. For example, if you notify your landlord on the 20th of July, the notice period starts on the 1st of August, and you can move out on the 31st of October (if the notice period is 3 months). If you absolutely have to move out earlier, your landlord might be more understanding if you find a replacement. Speak about that with them or with your agent. 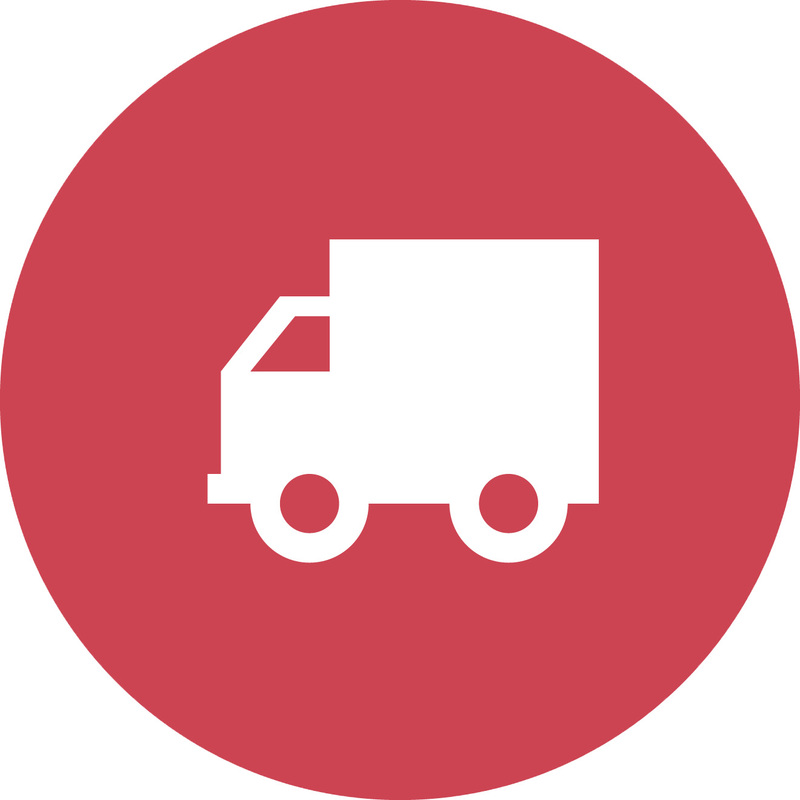 As the name advertise, this family company will help you move your furniture around Brno, or even from your home country - as long as it is in Europe. Self-service laundry, providing high-quality, speedy washing and drying facilities suited to high volumes of laundry. Member of a world-wide chain. Interior design and implementation – complete range of home improvement services. 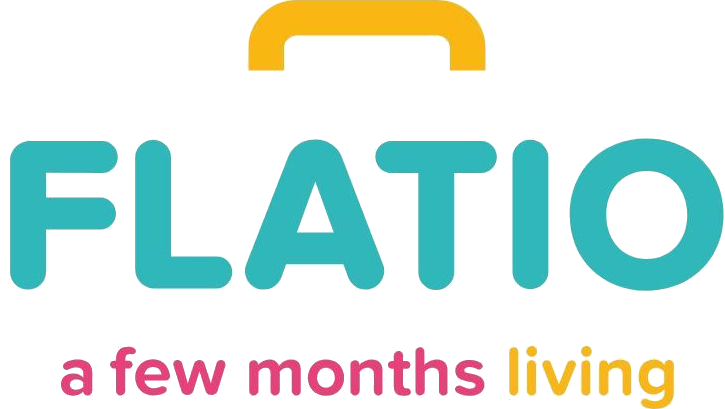 Flatio offers fully furnished apartments to rent for a few months. Easily and without any deposits. Some real estate agencies may offer a short term accommodation as well. CzechPoint 101 also informed us that they too rent out flats for shorter periods of time, though this is not advertised on their website. And Foreigners offer short term accommodation as well. Other than that, it is not that easy to find short term accommodation in Brno. You can rent a bed or a room in hotels, hostels or Google many pensions. An affordable but almost always full option is the Pyramida lodging house (Francouzská 70) with studios and one- or two-bedroom flats. Close to the Brno Technological Park, IBM and RedHat offices is a Hotel a hostel Palacký (Kolejní 2905/2) and Mendel University student dorm with rooms for the public. Serviced but more expensive apartments are Apart Suites Brno (Cejl 67) and City Apart Hotel Brno (Komárovské nábřeží 2). Another option is to form a group of flatmates and then search for a multi-bedroom flat together. Foreigners who have been in the Czech Republic for some time, or come here planning to stay for some time, may be interested in purchasing a flat, house, cottage or cabin in the country or piece of land. At the time of the country’s admission to the European Union in 2004, the Czechs asked for, and were granted, a temporary exemption from an EU directive forbidding any restrictions on the purchase of a property. Since then, change has come in two stages. As of May 2009, most restrictions on the purchase of property in the Czech Republic by foreigners were removed; some remained for land zoned as agricultural or designated as forest. These were lifted in May 2011. This means that now – subject to certain procedures that have to be followed in the purchase of agricultural land – all forms of property can be purchased by foreigners, whether from the EU member states or elsewhere. Purchasing a property is no simple or straightforward process in any country. For that reason, you should certainly turn to a professional real estate agency to ensure that all the necessary steps have been taken and all legal requirements fulfilled. One of the many important steps is to discuss your financial situation and possibilities with an expert. Contact us for recommendations. If you are only in the city for a short visit, the best options – depending on what your requirements for comfort and portfolio of services are – are hostels, Airbnb or regular hotels.